Disk Dr. WG30 back treatment, back pain relief and back support belt recommended for lower back pain relief, herniated disc, sciatica, spinal decompression. Back support belt Disk Dr. simple to use, allows self-treatment, active rehabilitation, recommended to wear 6 hours a day, also it can be worn for 12 hours per session, depending on patient's medical conditions. Disk Dr since 1997 Seoul, S Korea. Recommended for:IMPORTANT - Please ensure that your Disk Dr. order measurement is NOT YOUR TROUSERS OR PANTS SIZE, but is the measurement taken with a TAPE MEASURE around your waist. Low back pain caused by obesity, Low back pain of physical origin which needs traction therapy. pressure as low as 15PSI. 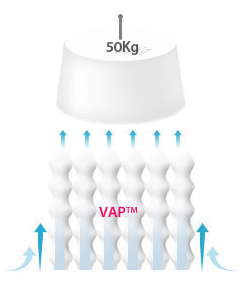 VAP™ is a unique technology developed by Changeui Medical that controls and channels the expansion of air via vertical inflatable columns. 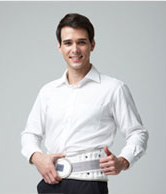 The air pressure created by the VAP™ technology vertically inflates the air columns inside the belt. 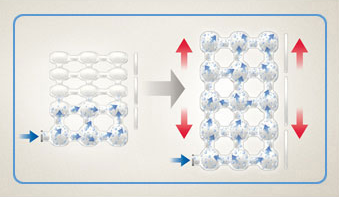 As our product is expected to be worn all day long, it can be cleaned by normal washing. When the belt is ordered, it will come with a laundry bag of appropriate size. 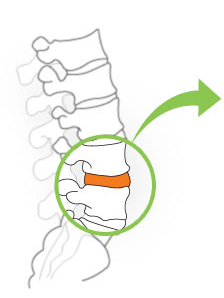 The Disk Dr's patented, vertically expandable columns provide secure mechanical support for the lumbar vertebrae. The air inflated belt acts to provide a butress action between the lower part of the rib cage and a patient's hip, diverting weight bearing forces away from the lumbar spine and thereby reducing intra discal pressure. Unique and patented air-traction design sets it apart from all other available back supports which are intended solely to restrict movement of the lumbar spine. 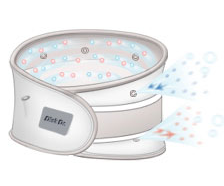 The Disk Dr. not only provides superbly comfortable support but has the added benefit of applying gentle traction to the lumbar vertebrae, thereby reducing intra-discal pressure and providing speedy and effective relief of pain. The Disk Dr. combines both excellent support and flexibility. For those who participate in sports of have an active lifestyle, the Disk Dr. allows a high degree of mobility while at the same time providing security for the weakened lumbar spine. Disk Dr. products available in USA on Medicare and other major insurance.